It is important to demonstrate good appearance and good manners at an interview.Pay attention to a formal appearance in India. Dress professionally. Men wear suits and ties. During summer months, you may omit the jacket. Often just a long-sleeved shirt with a tie is also acceptable. Women may wear conservative pantsuits, blouses, long skirts, which cover the knees, dresses or saris. The neckline of the blouse or the top should be high. It is important to demonstrate good appearance as well as good manners at an interview. Dress neatly and conservatively. Tropical or lightweight clothing is acceptable in the summer in northern India and for most of the days in southern India. Men wear sport or tropical coats and ties in subdued colors. Slacks and open-necked shirts are generally suitable in the summer. Women wear conservative suits, dresses or pantsuits in subdued, neutral colors such as beige or brown. They should avoid heavy make-up and excessive jewelry. No caps, athletic shoes, sweats or unkempt clothes. Jeans, singlets, open shoes and thongs are never accepted. If the wind was blowing, comb your hair before making first contact at the reception. Take with you only a slim folder holding your job application documents and resumes. Do not carry a water bottle or coffee mug. Do not chew anything. Men tend to wear smart, but comfortable and cool clothing. Any foreign businessman can wear a light weight suit when visiting although ties are not compulsory except in more traditional sectors such as banking and the law. Women should wear conservative dresses or trouser suits. Clothing should not reveal too much skin - especially legs. Try to avoid wearing leather clothing, as this could be offensive to Hindus who revere cows. If travelling in the rainy season, make sure you have appropriate clothing and an umbrella. Many of the high-tech sectors, computing, banking and bio-science companies have a fairly informal dress-code in the office which reflects the trends in the back-offices of their operations in the west. In recent years, the dress code in Indian business settings has undergone a transformation. Moreover, it also differs widely across regions and business sectors. Therefore, it is difficult to make a generalization about the most appropriate way to dress that will be valid across India. However, the following points should assist you in making the right decision. Normal business dress for men is a suit and tie. However, since India has a warm climate, often just a full-sleeved shirt with a tie is also acceptable. It is also important to select neutral colors, which are subdued and not very bright. In most companies, particularly in the IT sector, however, the dress code is much more casual. It is not unusual to find people wearing T-shirts and jeans with sneakers. However, as a visitor, conservative though not formal, dress is advisable. For foreign women, pant-suits or long skirts, which cover the knees, are more acceptable to wear. The neckline of the blouse or the top should be high. For women, a salwar-suit is also acceptable for business dress.Jeans with a T-shirt or short-sleeved shirt are acceptable as casual wear in informal situations for both men and women. You can wear casual dress if invited to a social gathering. However, if a foreigner wears an Indian costume [kurta-pajama for men, and sari or salwar-suit for women], this kind of dress is also appreciated, and often seen as a gesture of friendship. 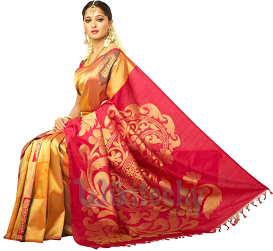 Traditional Indian clothing has come into prominence once again. Well, if you notice the trends in fashion industry, you'll realize that modern fashion has aped the styling and designing of the bygone eras, the period of royalty, when Maharajas and Ranis used to spend extravagantly on their clothing. Whatever the royals chose to go in for was reminiscent of splendor and luxury. The creative fashion designers of today are in a lookout for ethnic designs that take us close to our cultural roots and remind us of the glorious past. Well, in this section, we will provide you with information on the different kinds of traditional clothing in India. India is a diverse country with different cultures and religions. The customs followed by Indian people vary across length and breadth of the country. Hinduism, Islam, Sikhism, and Christianity, are some of the major religions people believe and follow. Not only the religion affects the way people think, live and dress but also the region or the state they belong to has great influence. Though sari is popularly believed to be the traditional dress for Indian women, there are other dresses that are either region specific or culture specific which are also considered to be part of Indian traditional dresses. 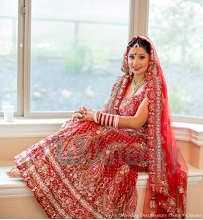 In Punjab the traditional dress is SalwarKameez and in Rajasthan it is GagraCholi or also known as Lehenga. In Kerala an older version of sari called MundumNeriyathum is the traditional dress, where Mundu forms the lower garment and Neriyathu is the upper garment. In other parts of the country the most popular traditional dress is sari which is draped in a variety of styles. For example, in Maharashtra the kachha style and in Gujarat front pallu style. However, with time the sense of dressing is evolved. Due to factors like globalisation and westernisation, today’s women take a modern approach when it comes to dress. Except for the older generation who are conservative and orthodox, the sari has been popularly replaced by Churidhar-Kurta and the SalwarKameez. Women of almost all the ages starting from 18 years old to 90 years old prefer dressing in SalwaarKameez for their day to day life. The traditional garment Kurthi is worn as a top on jeans which gives a casual western look while still has the conservative elegance of Indian wear kurtha. There is yet another class of Indian women who have taken a leap towards modernisation. These are again a section of females aged between 18 and 90 who are more influenced by the lifestyle and habitats rather than religion or culture of the regions. They believe in contemporary fashion and are more westernised. Pants, skirts, minis, you name it and they wear it! Hijab – Muslim women wear it as part of their tradition. It is a long and loose dress usually black in colour, gown like outer garment which is either worn on sari or SalwaarKameez. It is paired with a black head dress which has a black transparent face cover attached to it.